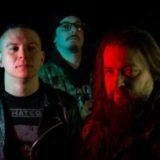 Less than four short years into their career, death metal defenders of the old Gruesome — featuring current and former members of Exhumed, Possessed, Malevolent Creation, etc. — returns with its second full-length sermon, Twisted Prayers. The eight track offering follows Death’s paradigm shift during the Spiritual Healing era, incorporating more cerebral, melodic instrumentation with elements of thrash and thought-provoking, socially conscious lyrics. 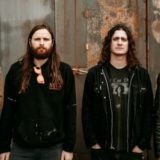 Recorded at New Constellation Studios in Orlando, Florida with producer Jarrett Pritchard (Exhumed, 1349, Goatwhore, Wolvhammer) who has been instrumental in crafting the band’s sonic homage, Twisted Prayers features Gruesome doing what they do best across over forty minutes of unholy hymns with lurid melodies and vulgar atmospheres. The band has once again teamed up with the legendary artist Ed Repka (Death, Atheist, Massacre, etc,) for the album’s blasphemous cover art in addition to legendary Death guitarist James Murphy (Death, Obituary, Testament) for a pair of special guest guitar solos. Bow your heads and worship at the altar of Gruesome! 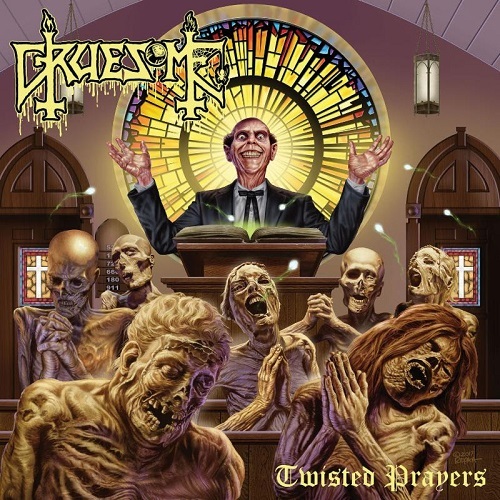 Gruesome Twisted Prayers is due out June 1st on CD, LP, deluxe LP, cassette, and digital formats via Relapse Records. Physical packages are available via Relapse.com and digital downloads/streaming services at this location. Additionally, Gruesome will release a cover of Mantas’ “Legion Of Doom” as part of Decibel Magazine’s Flexi Series in the forthcoming June 2018 issue as a special pictured flexi disc. 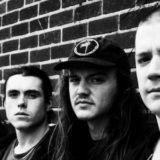 An accompanying Flexi Disc featuring companion artwork and a cover of Possessed’s “The Exorcist” will be available with the deluxe LP edition of the album at Relapse.com. 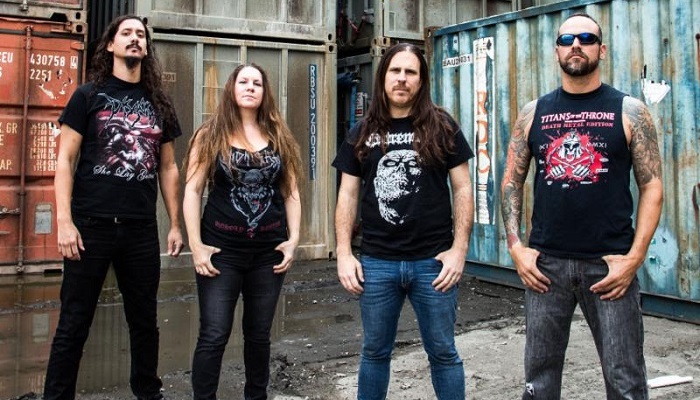 Gruesome will kick off a European headlining tour this summer. Beginning July 19th, the trek will travel through two dozen cities and includes appearances at Obscene Extreme 2018, Wacken Open Air, Free & Easy Festival, Stonehenge Festival and more. See all confirmed dates here.